The Chesapeake Bay has its very own breed of dog. The Chesapeake Bay Retriever or “Chessie” is uniquely suited to life around the bay. 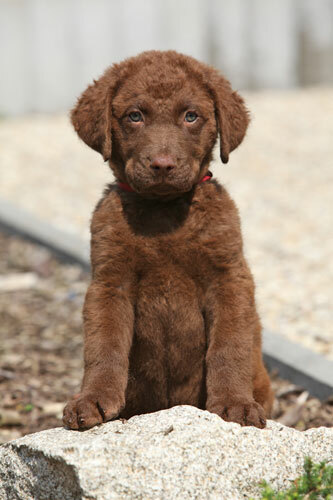 Chesapeake Bay Retrievers have a distinctive look due to their double coat with a curly appearance. The coat is a little oily, which helps repel water. They love the water and, due to their coat, can stand frigid winter water temperature. These dogs, which were bred to retrieve ducks for hunters, are strong, hard working dogs, that can handle themselves in harsh conditions. Chesapeake Bay Retrievers have a bright and happy disposition and an affectionate, protective nature. The Chesapeake is naturally dominant and will defend his position as alpha dog. Good training is a necessity with Chesapeake Bay Retrievers. They are strong dogs and have a tendency to be territorial. This breed can be willful and can be prone to dominance problems if not properly trained. 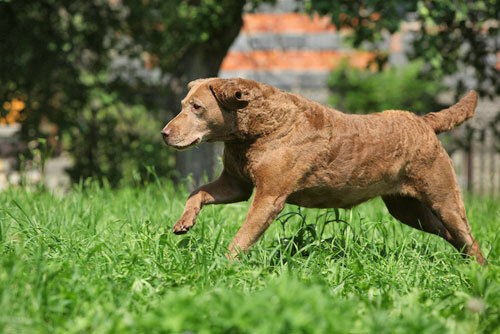 The Chesapeake Bay Retriever is very intelligent and learns quickly. Once trained, Chesapeakes will continue to behave as expected. Chesapeake Bay Retrievers are wonderful dogs, but they are not the best dog for everyone. They are not related to Golden or Labrador Retrievers and should not be compared to these breeds. Chesapeake Bay Retrievers are intensely loyal and bond closely with their human families. They are very protective by nature. And, they are working dogs by nature (bred for duck hunting) and need to be worked or played with daily to keep them well behaved. Chesapeake Bay Retrievers breed information.